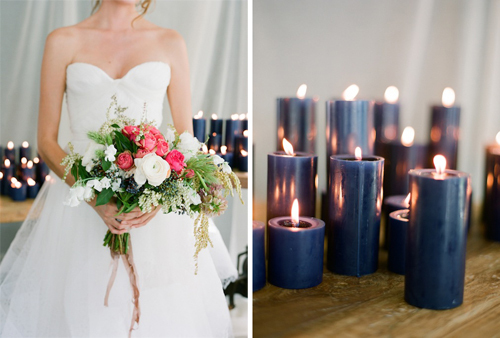 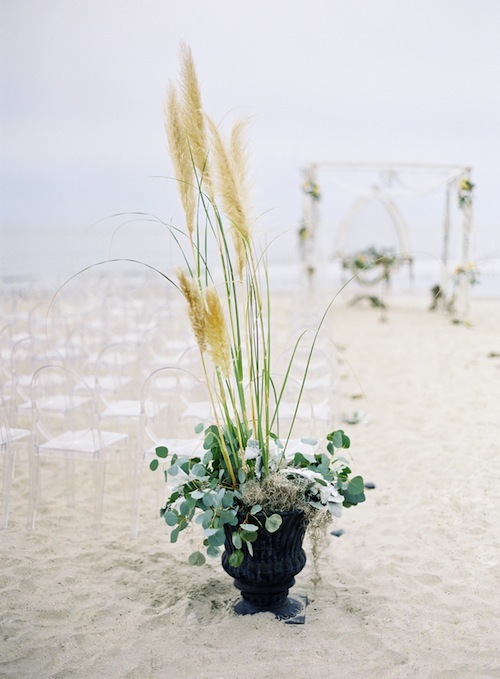 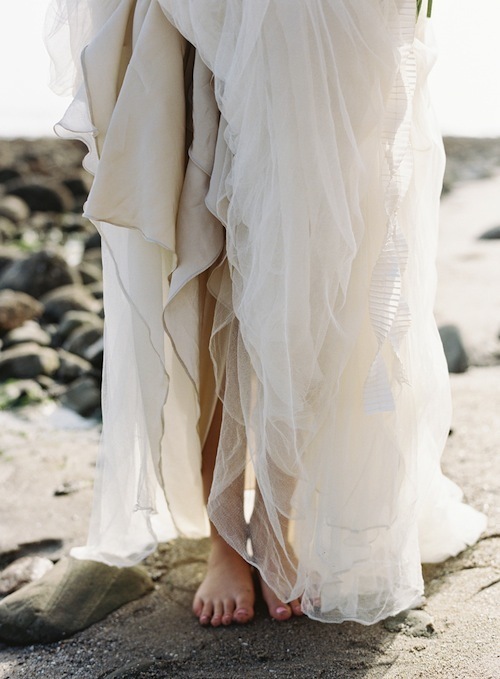 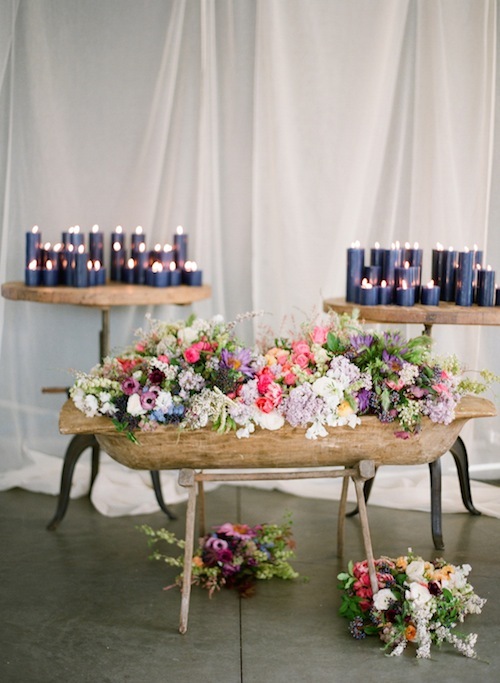 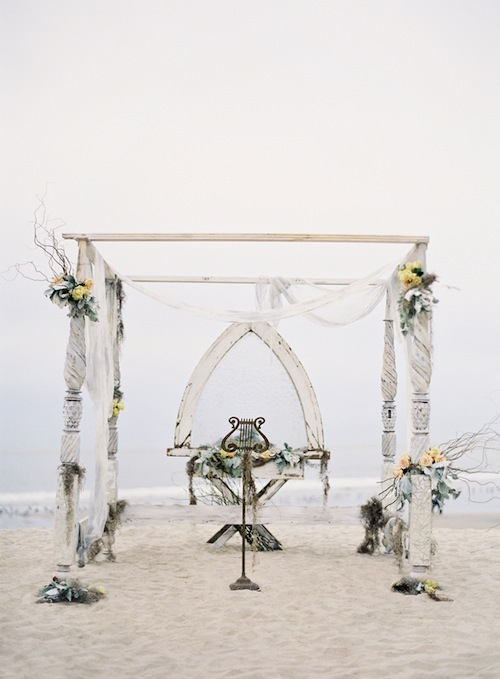 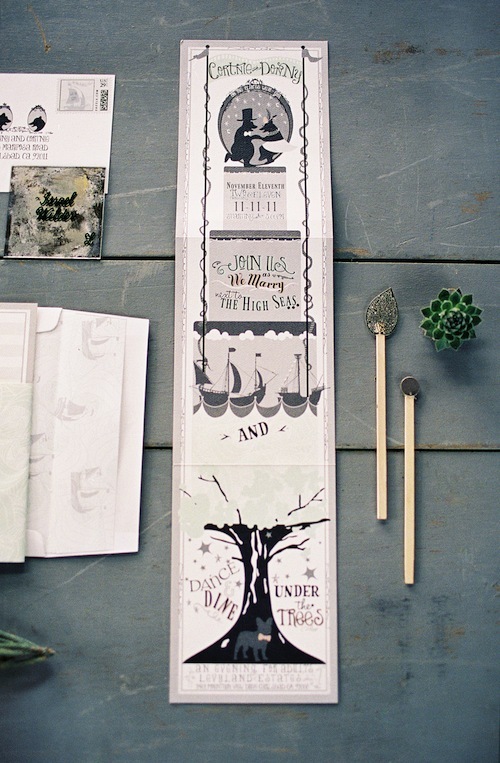 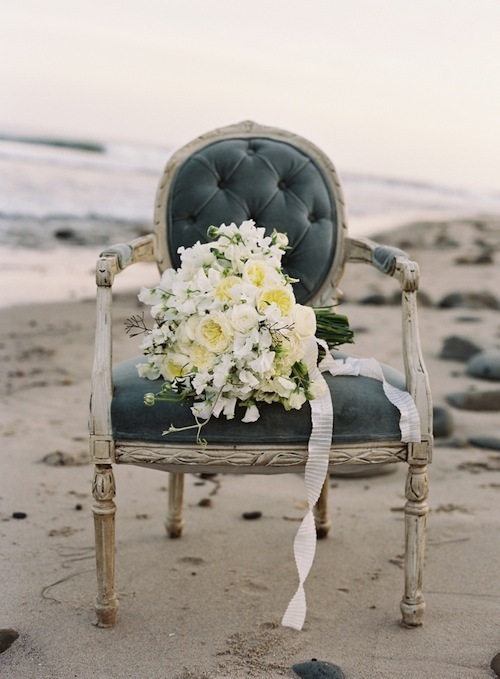 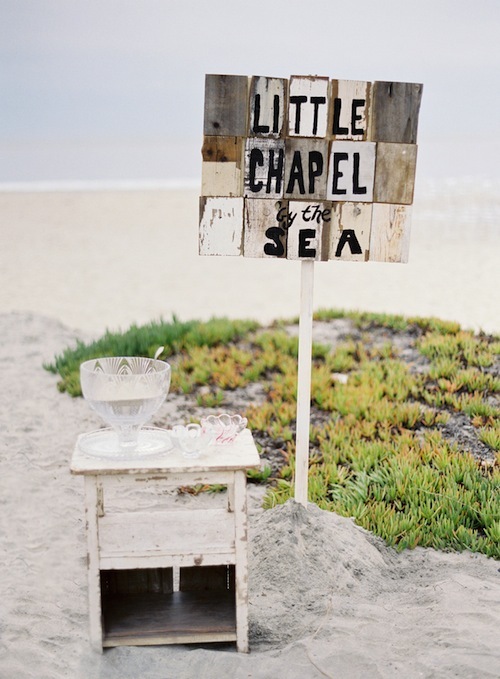 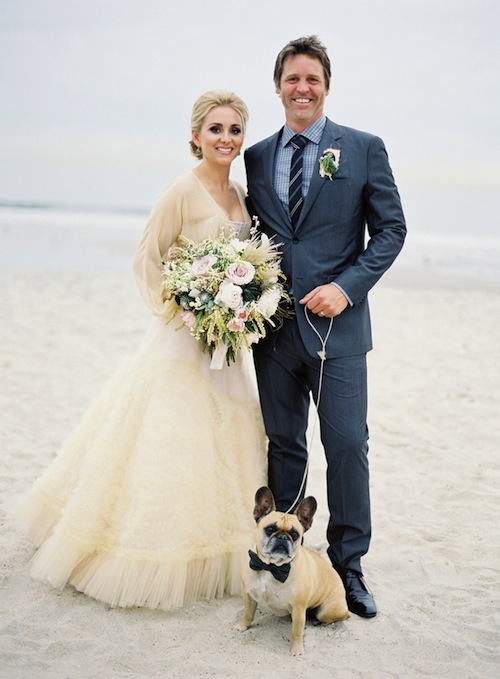 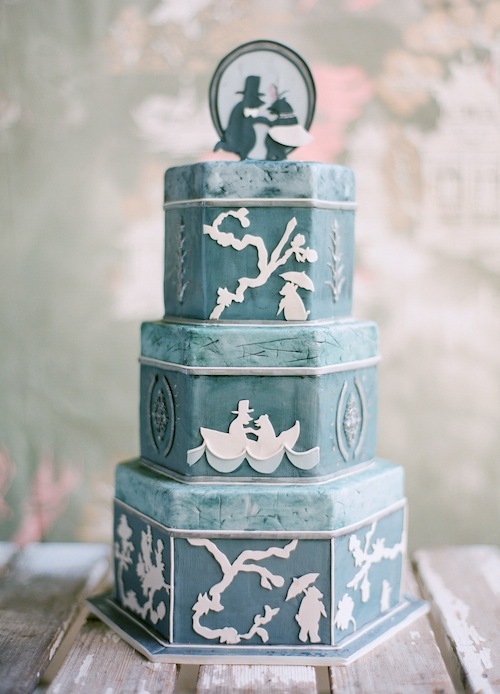 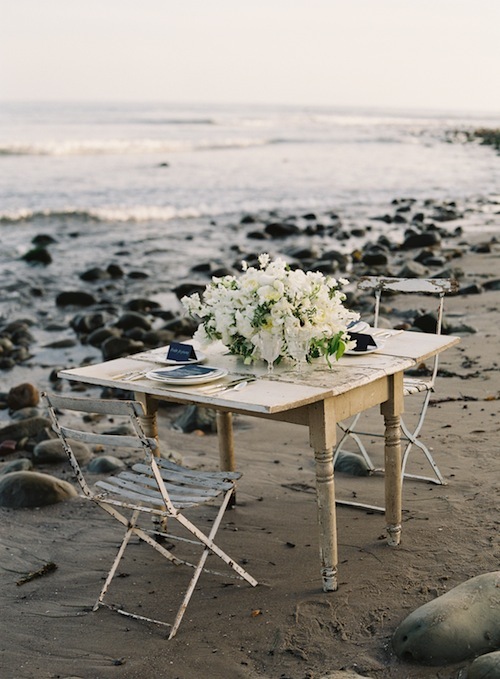 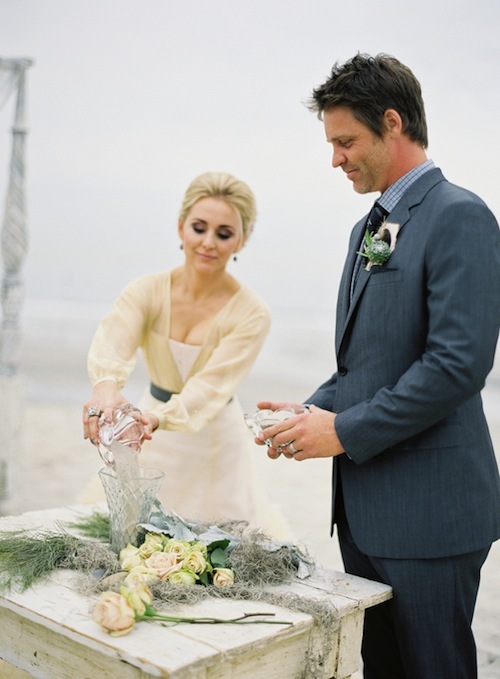 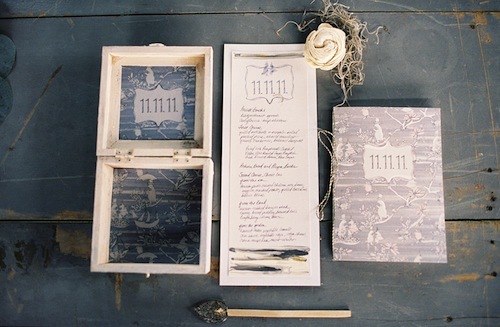 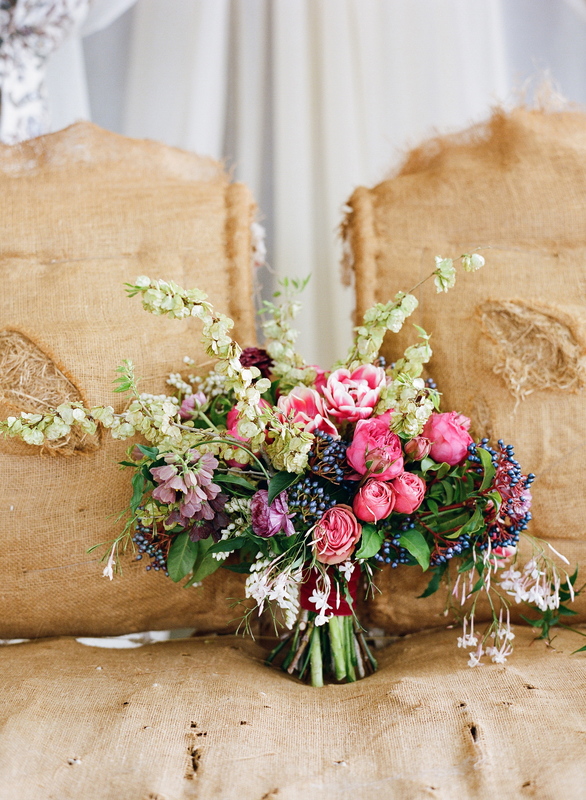 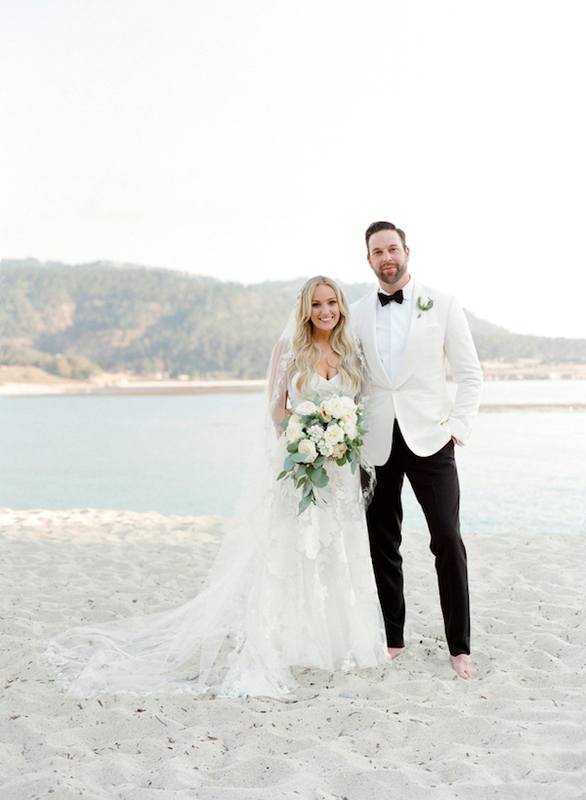 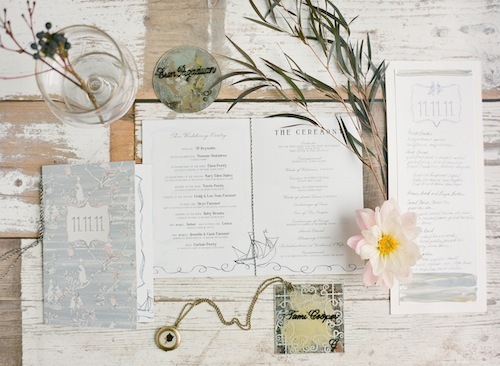 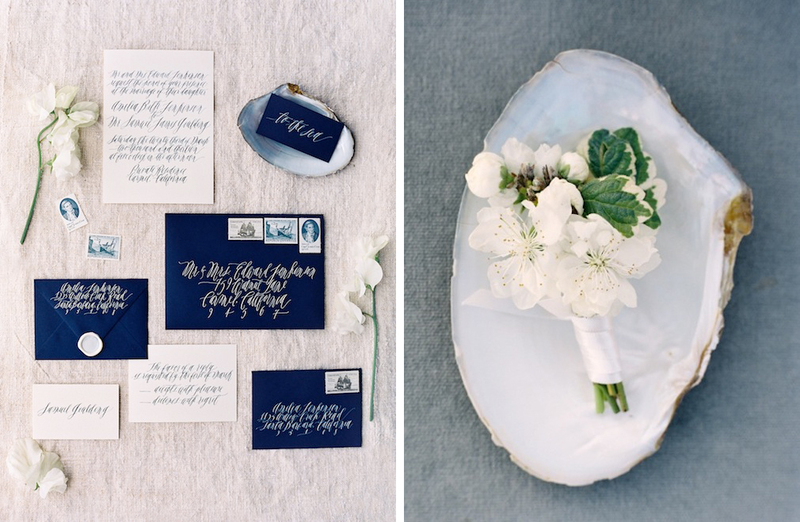 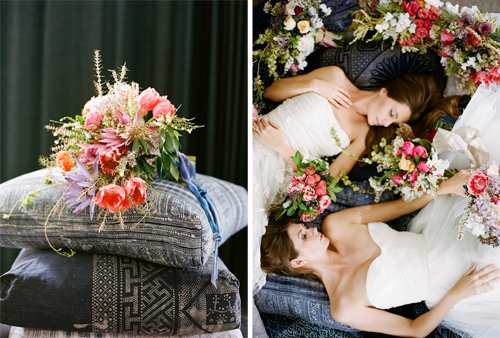 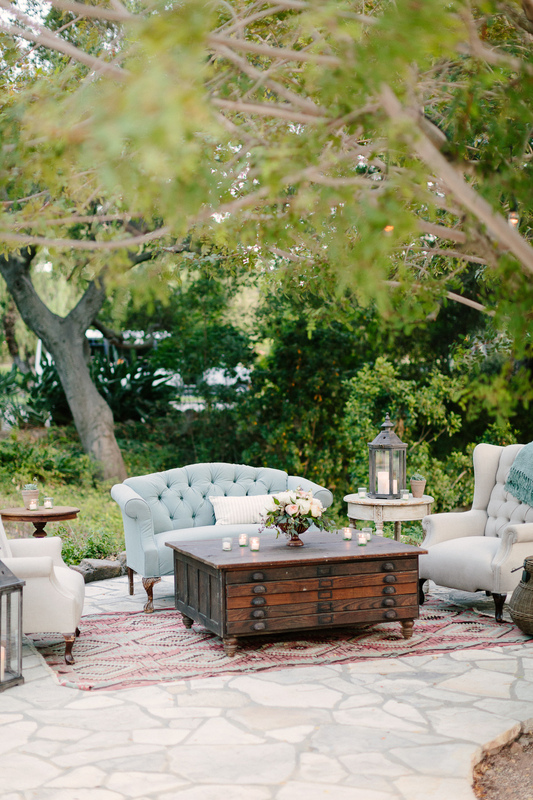 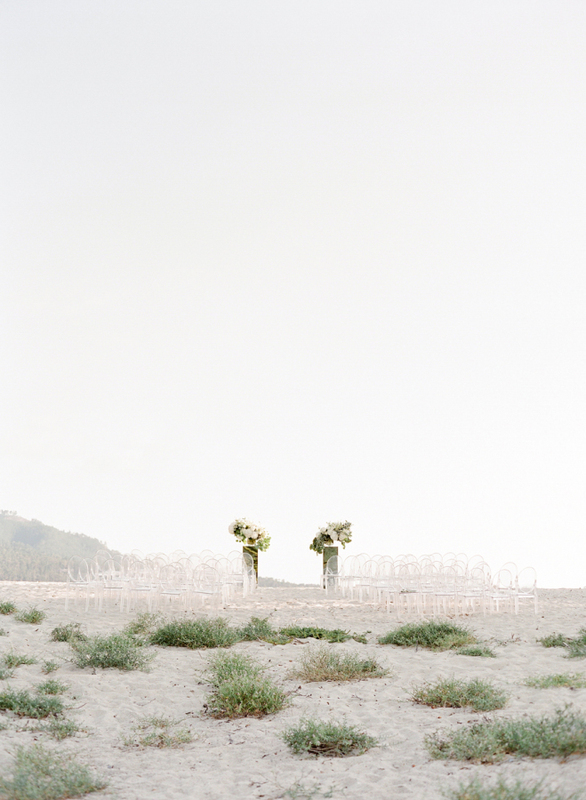 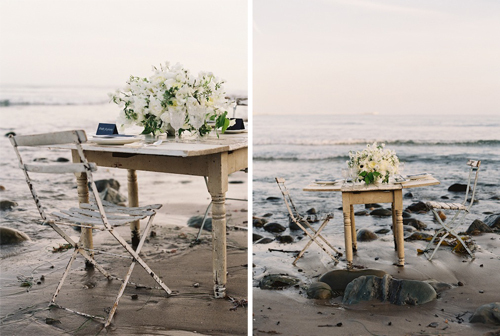 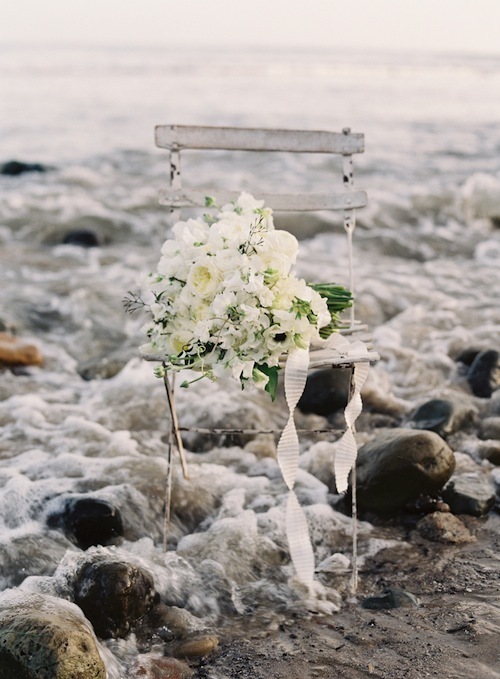 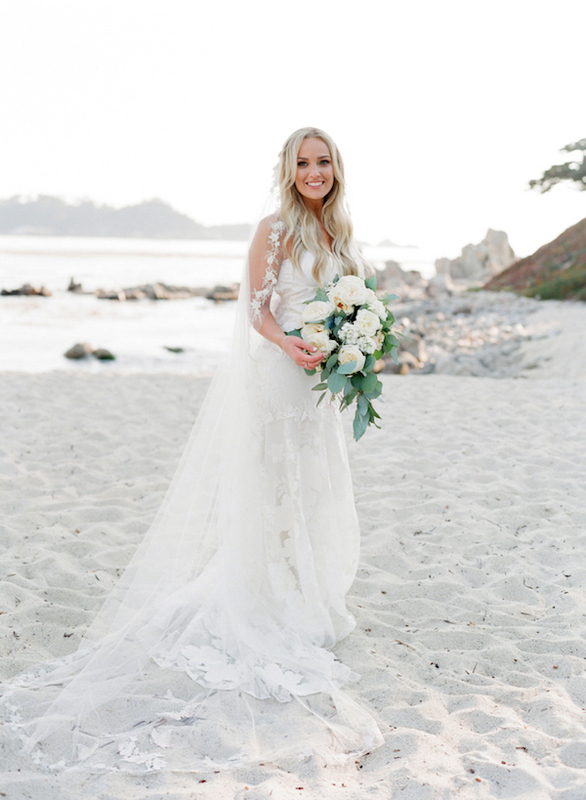 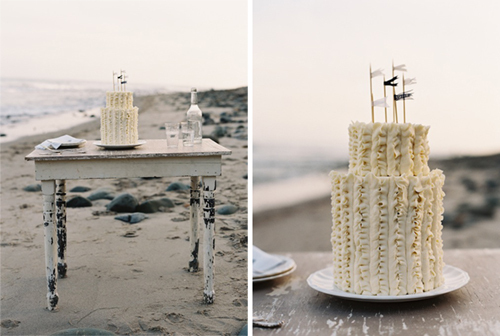 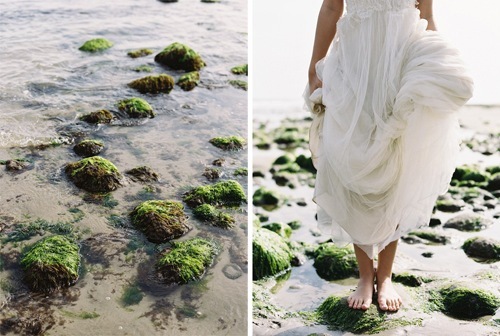 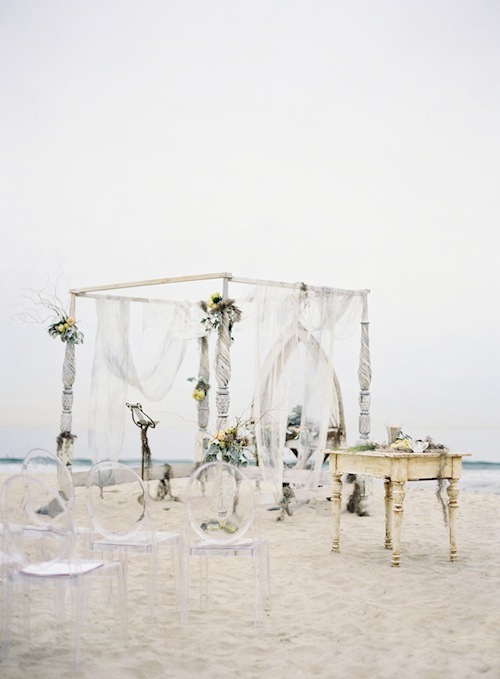 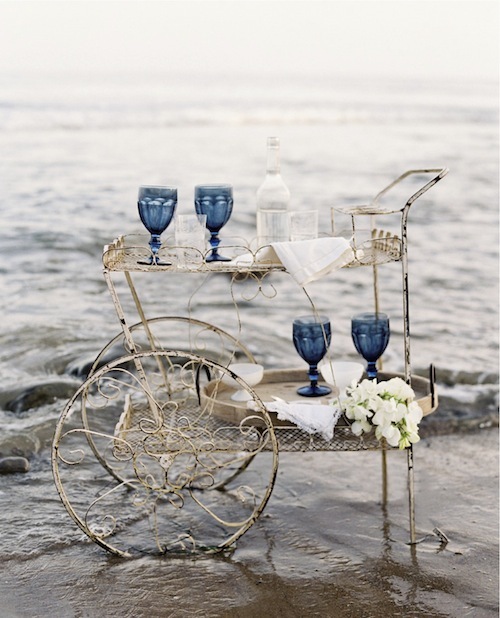 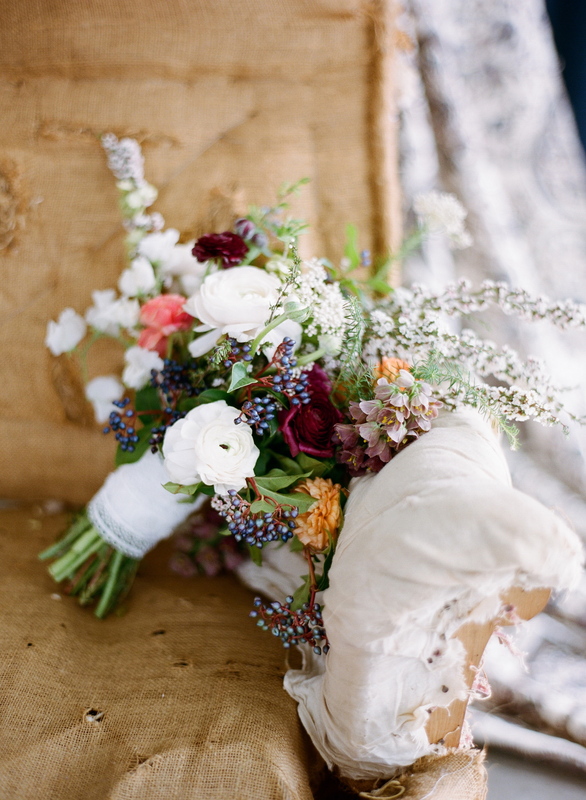 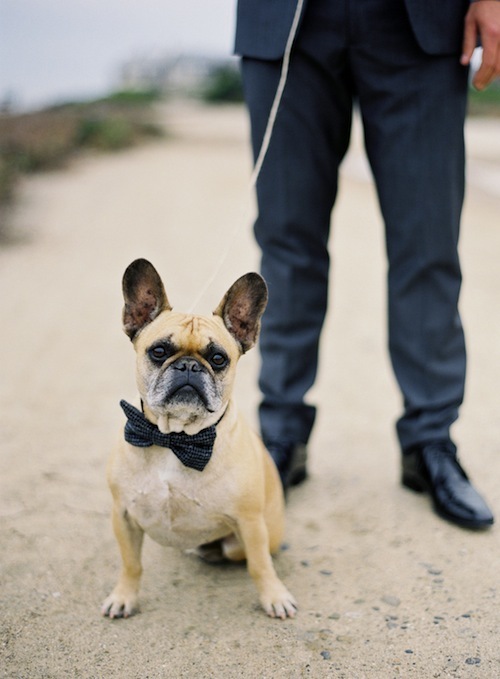 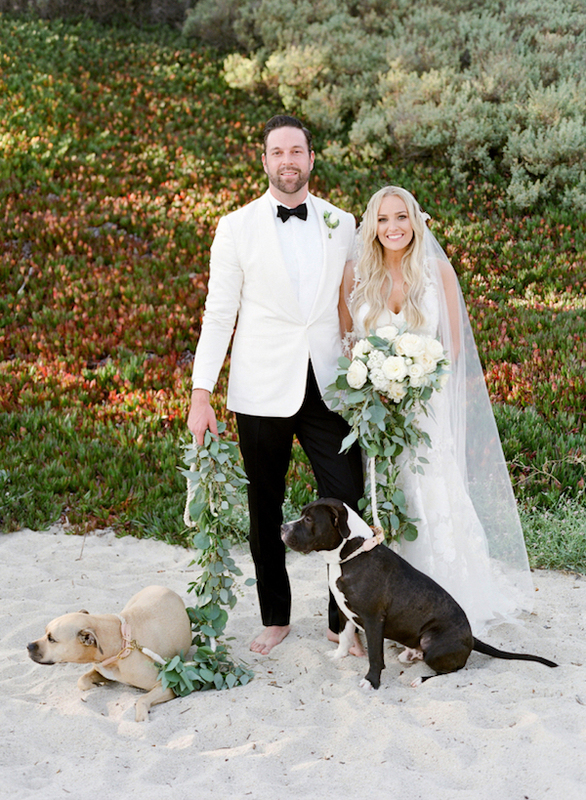 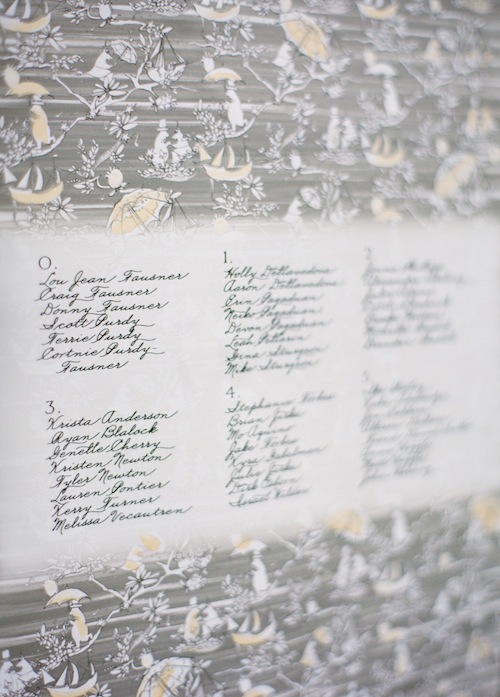 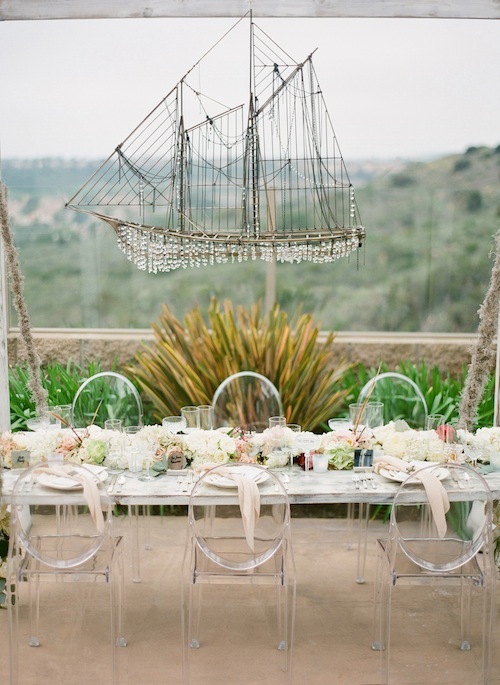 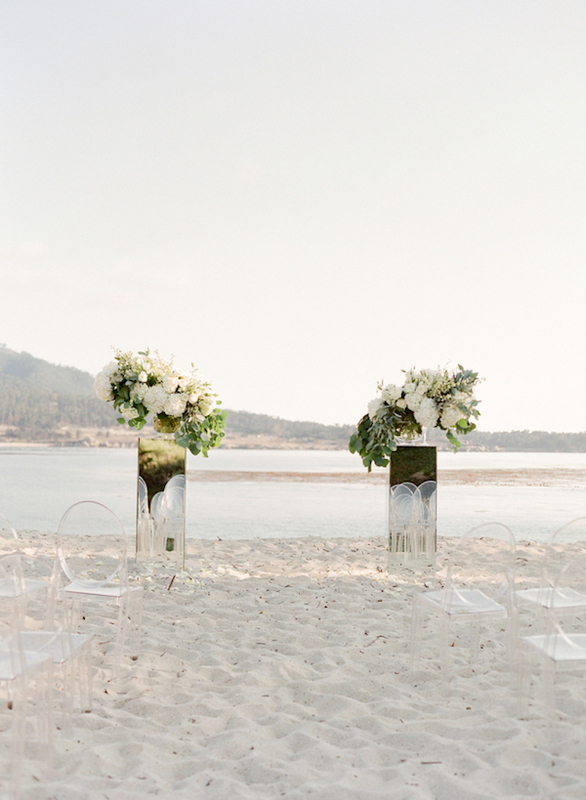 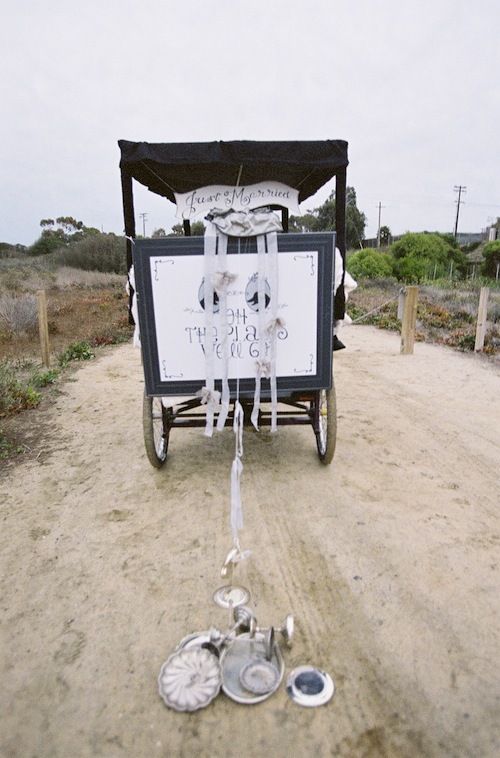 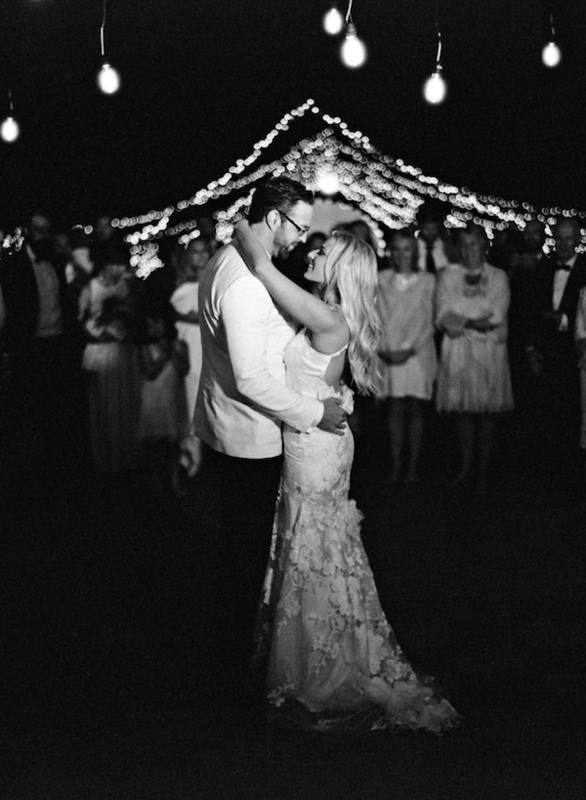 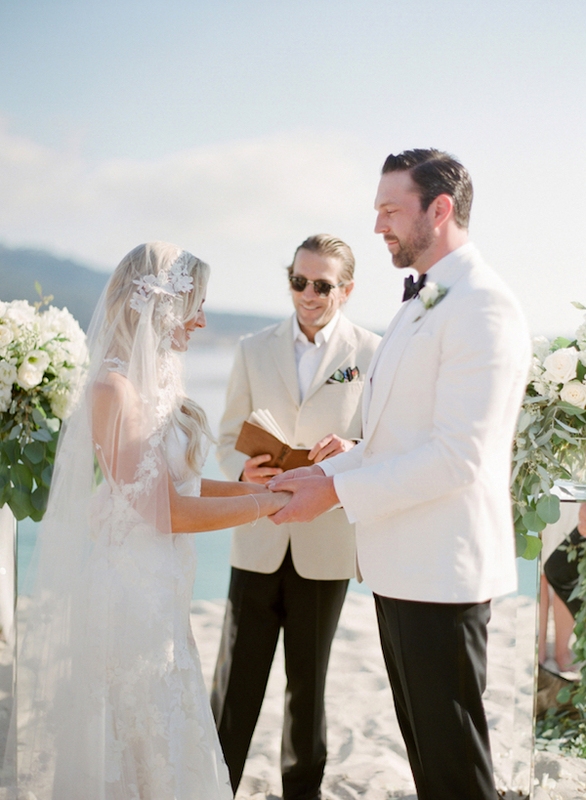 There’s definitely something magical about a modern + bohemian style wedding on the beach. 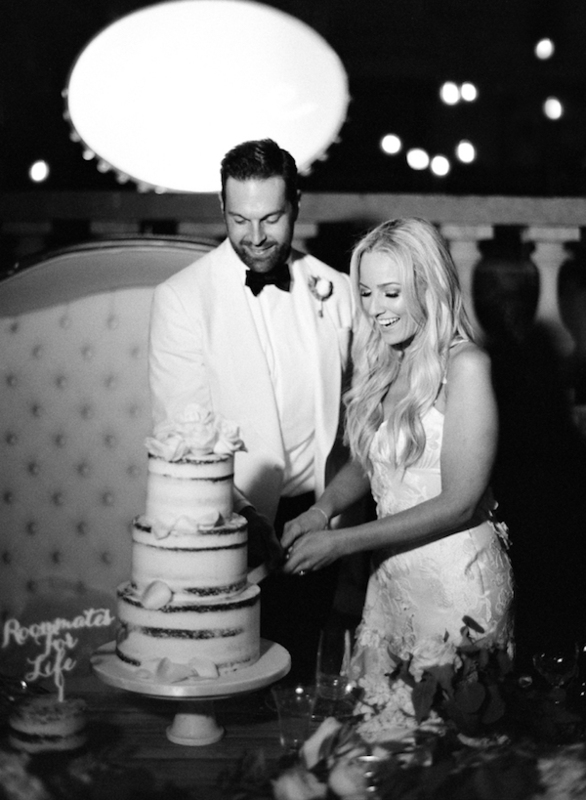 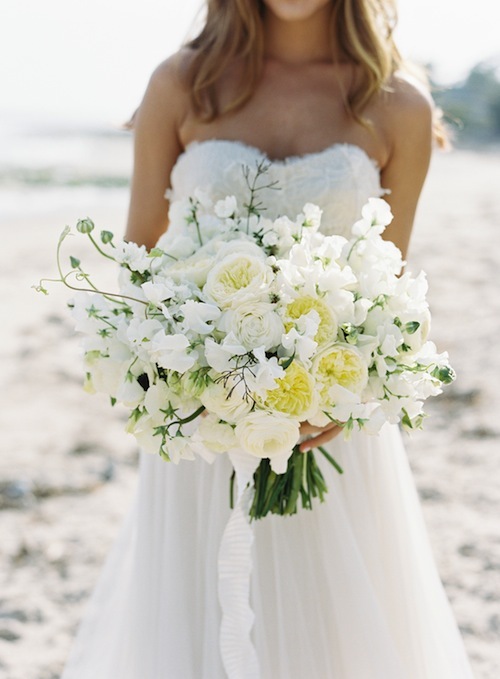 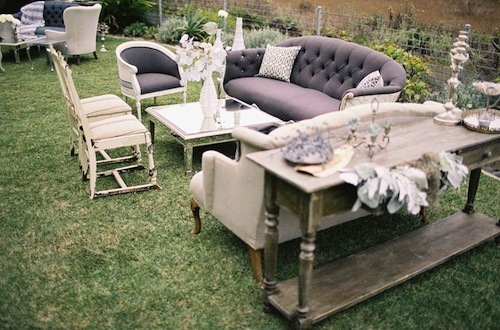 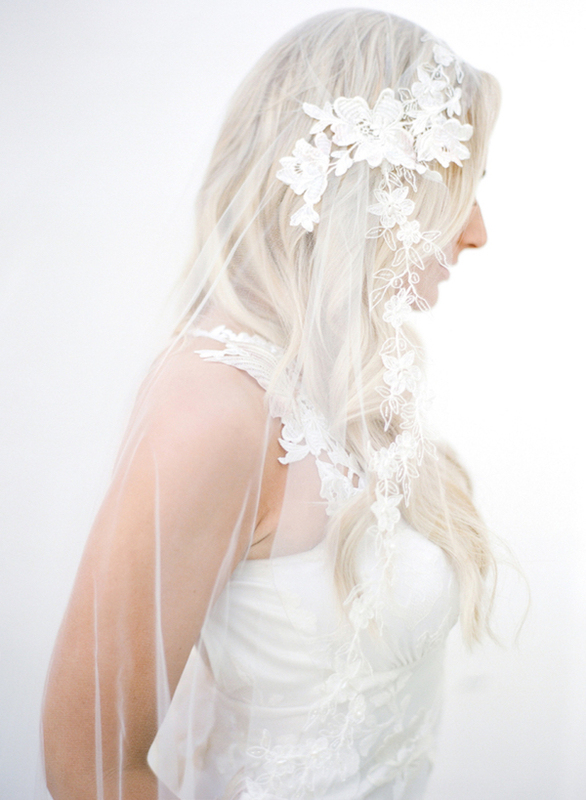 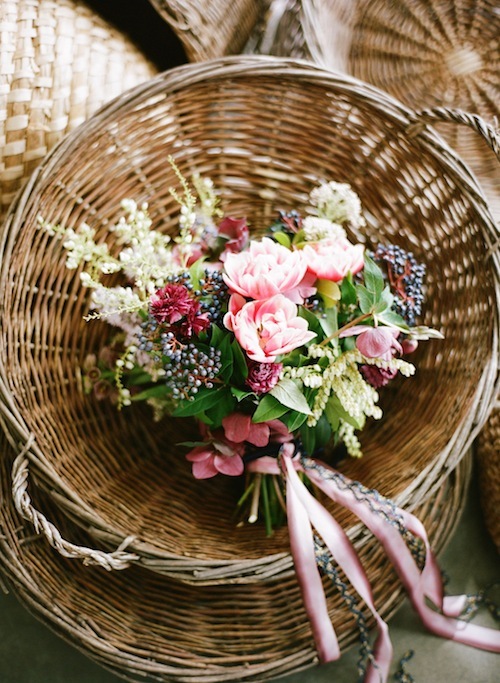 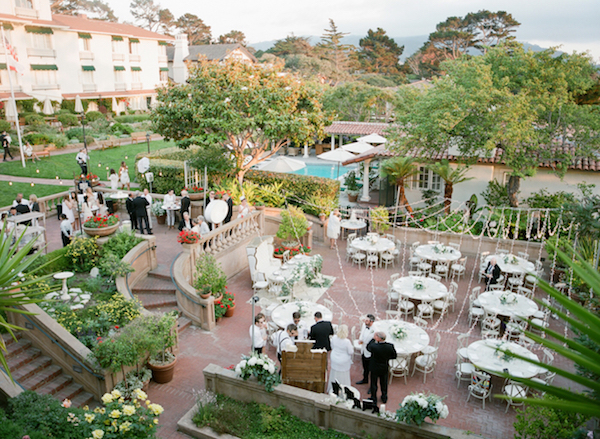 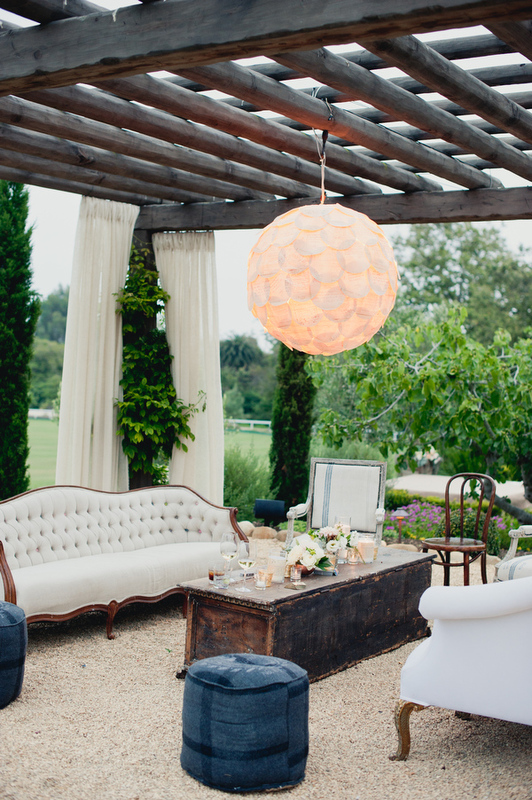 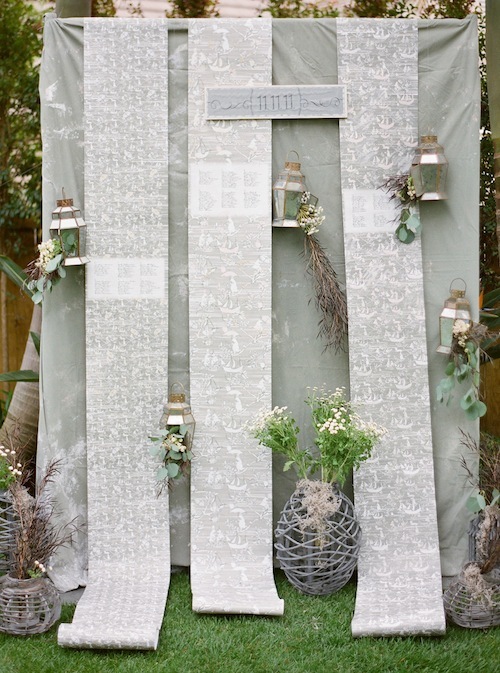 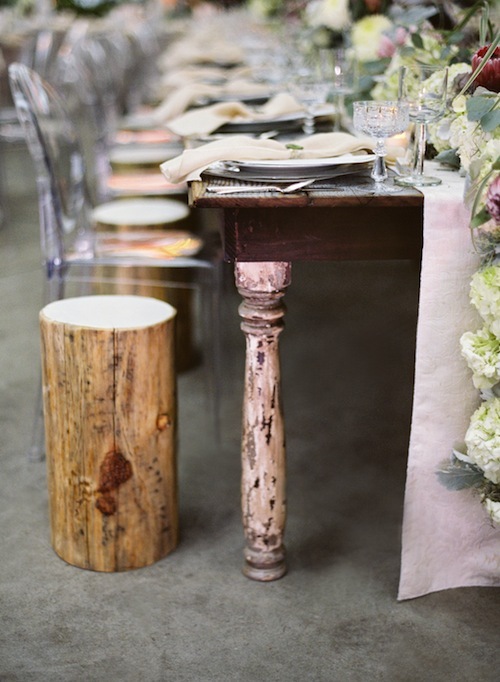 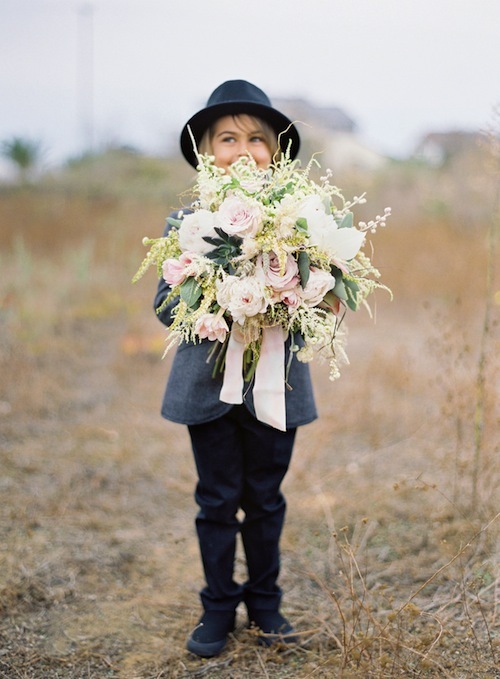 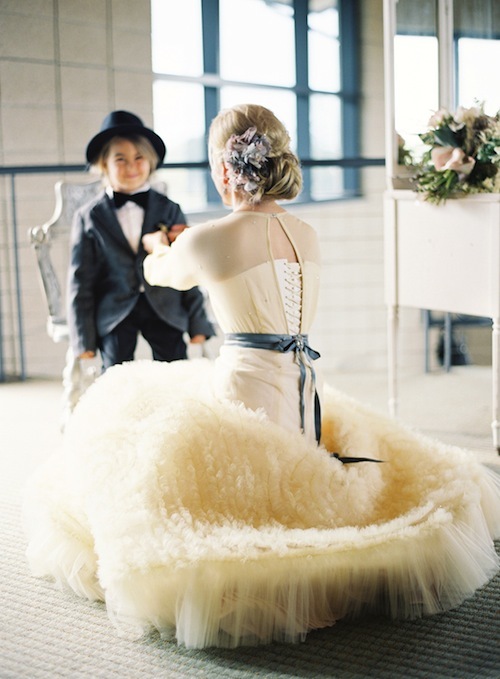 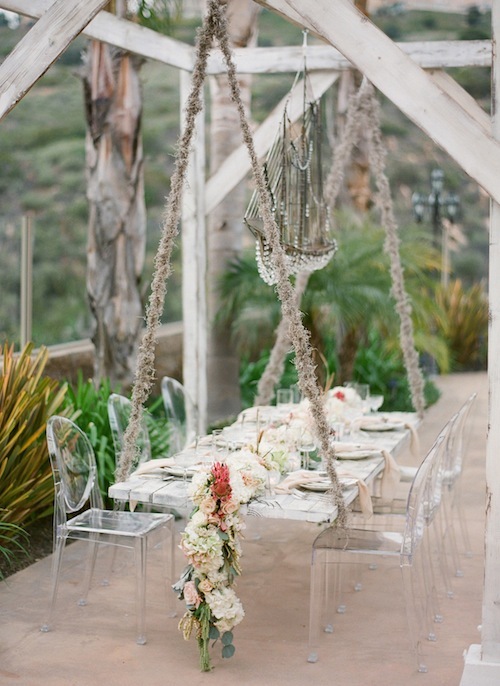 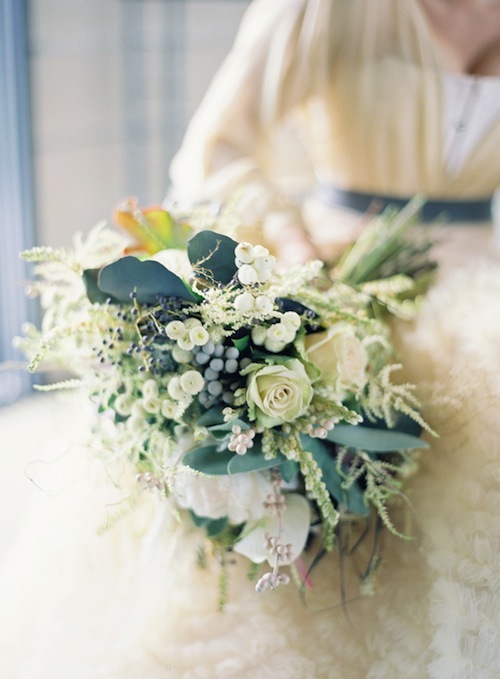 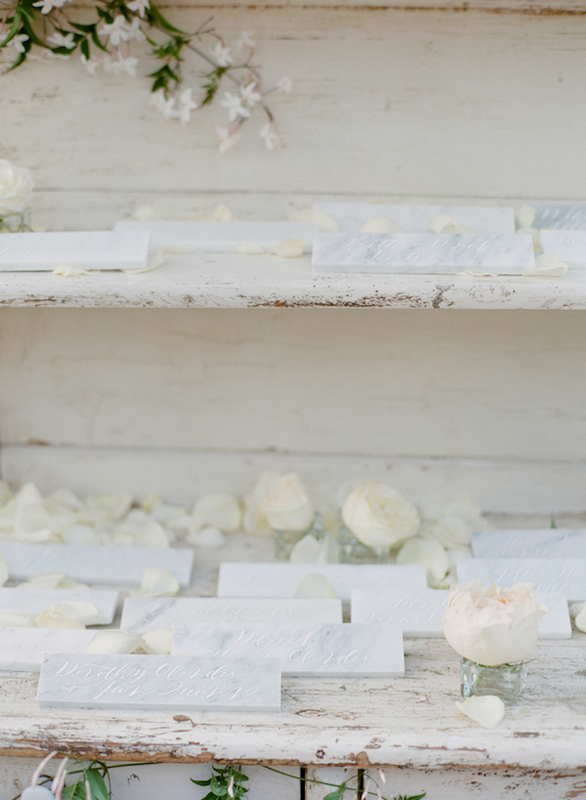 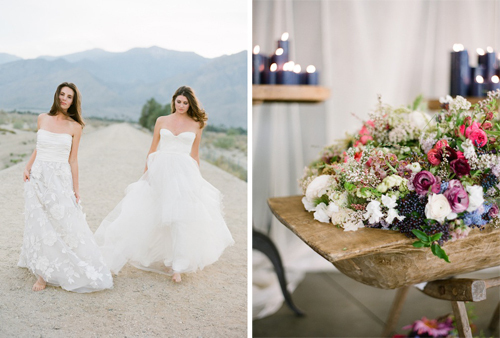 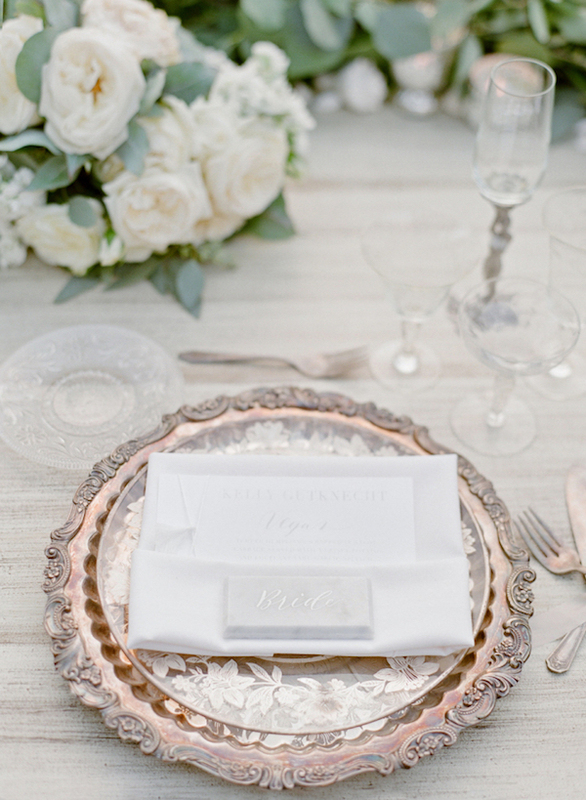 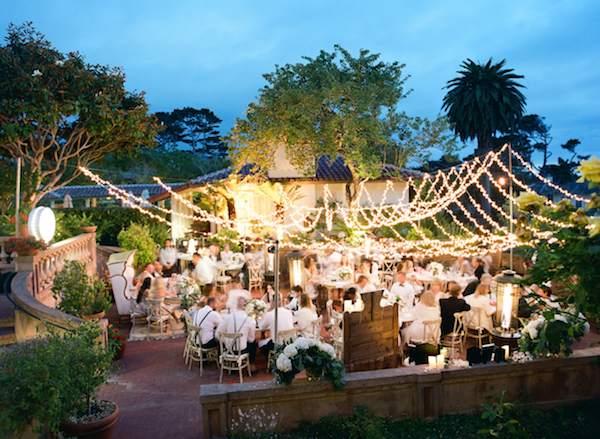 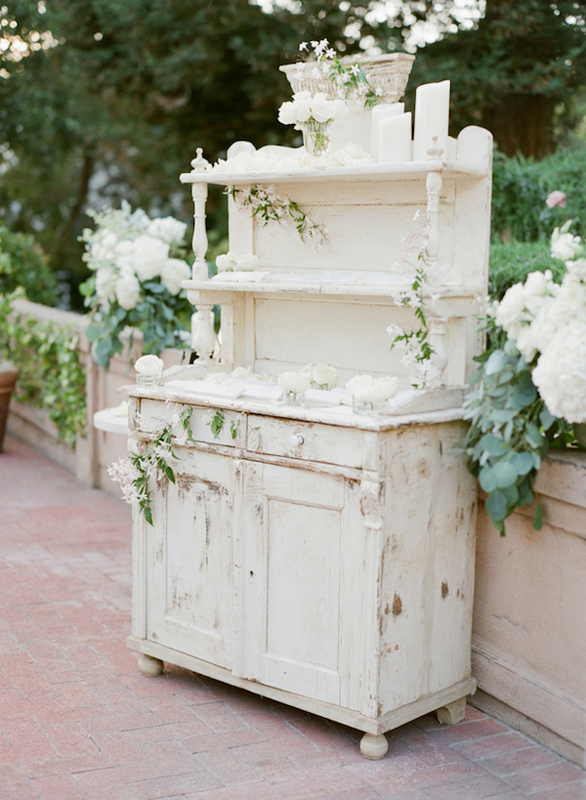 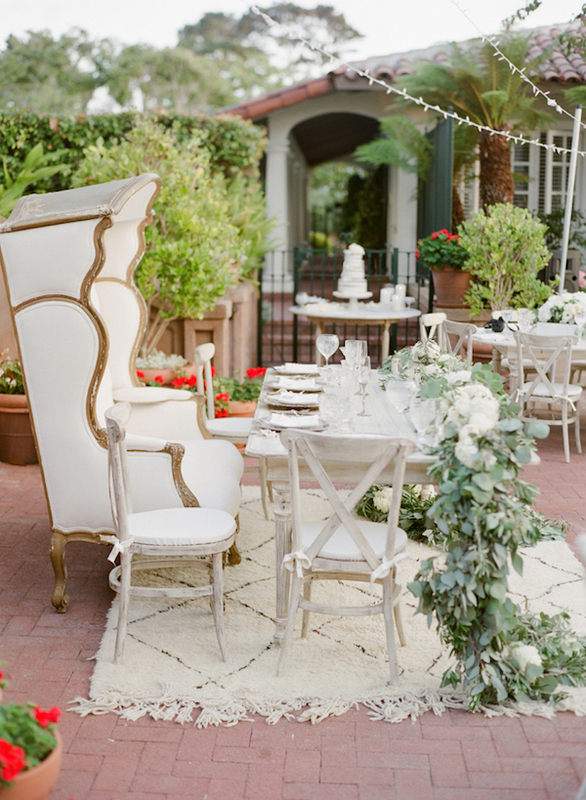 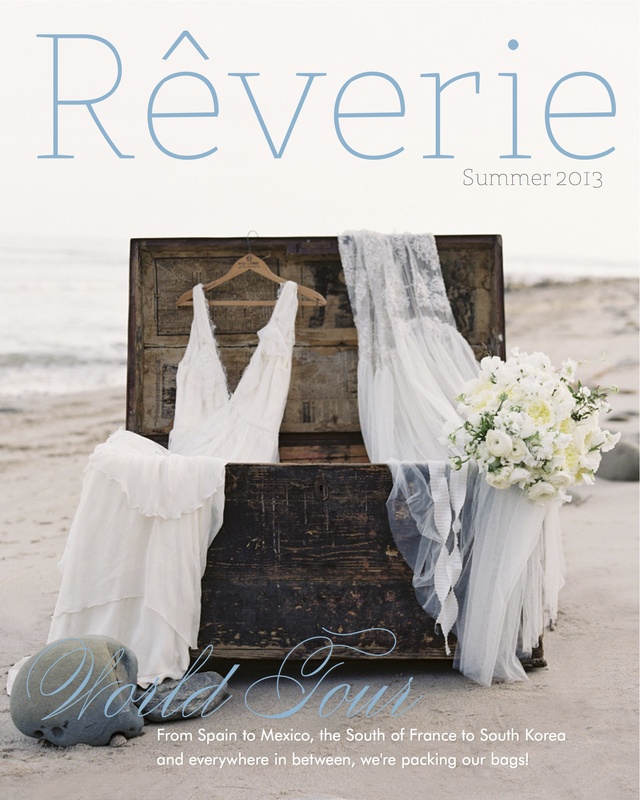 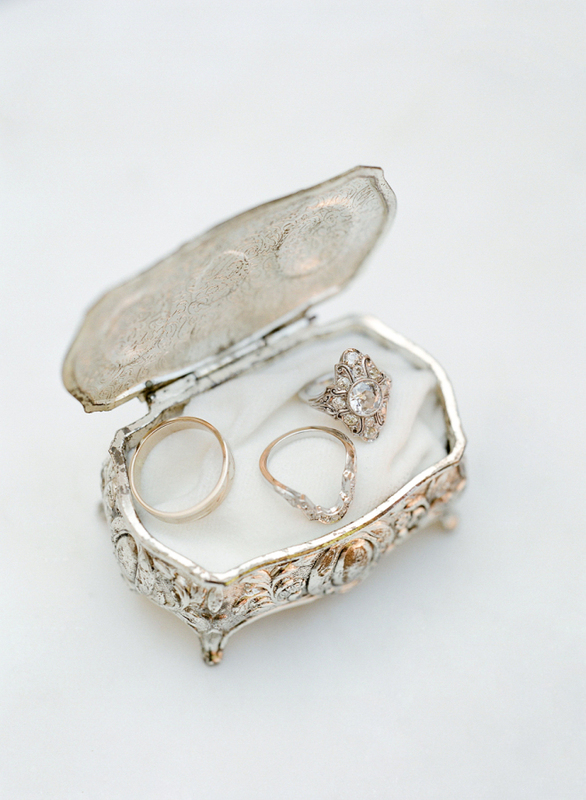 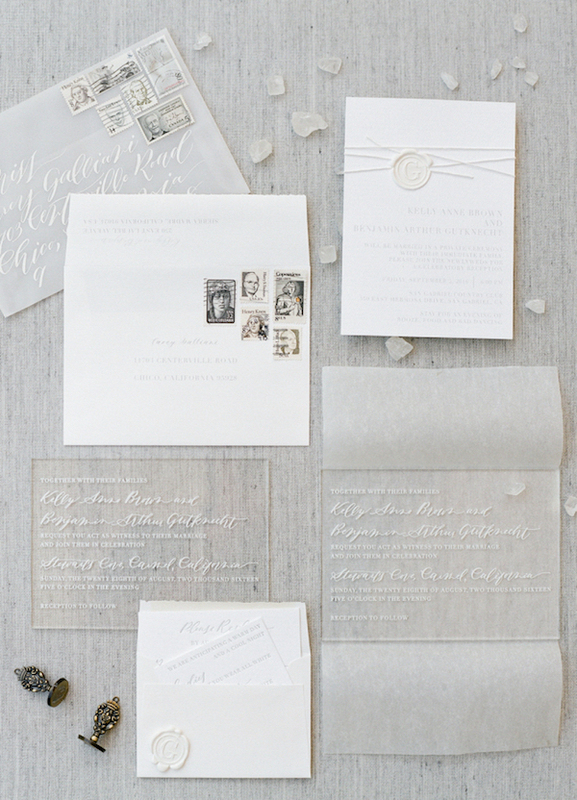 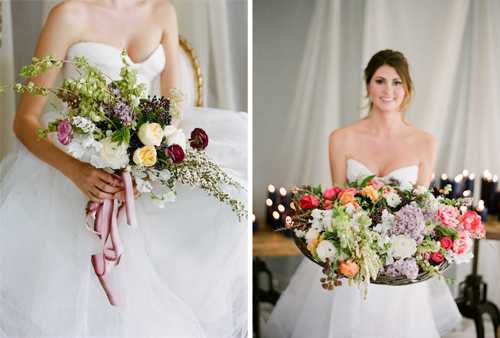 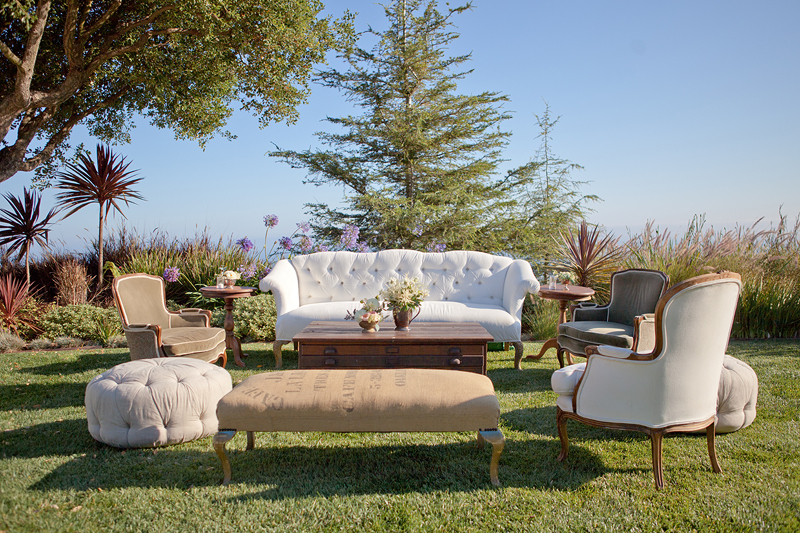 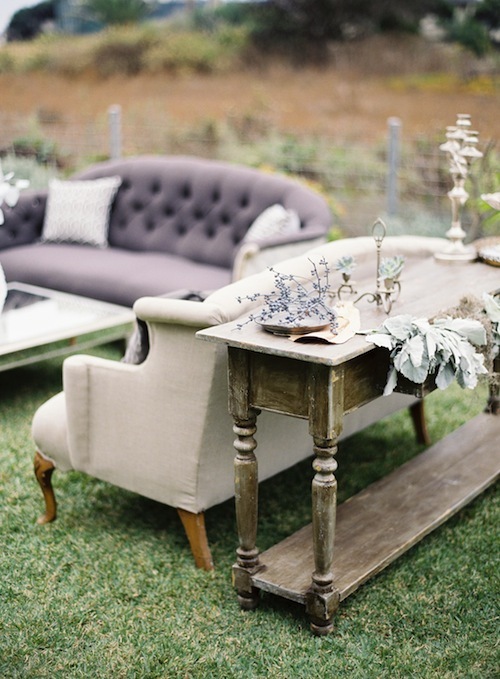 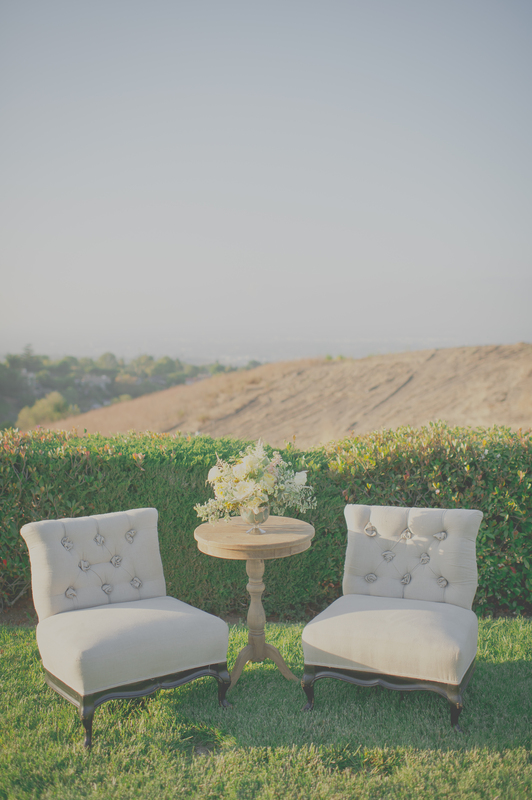 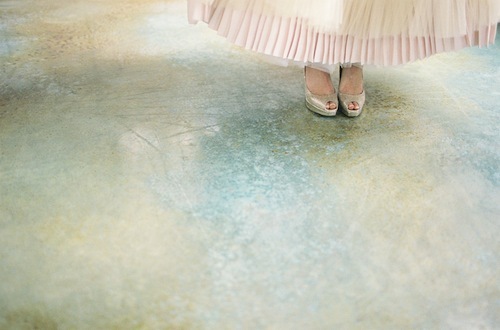 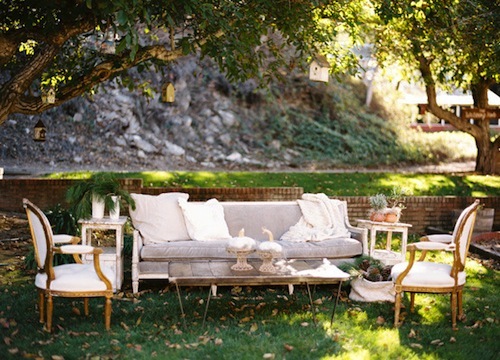 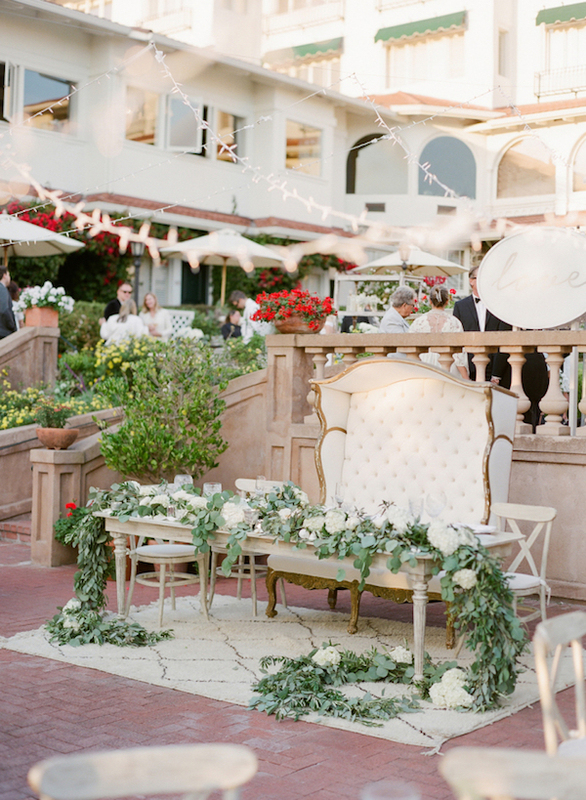 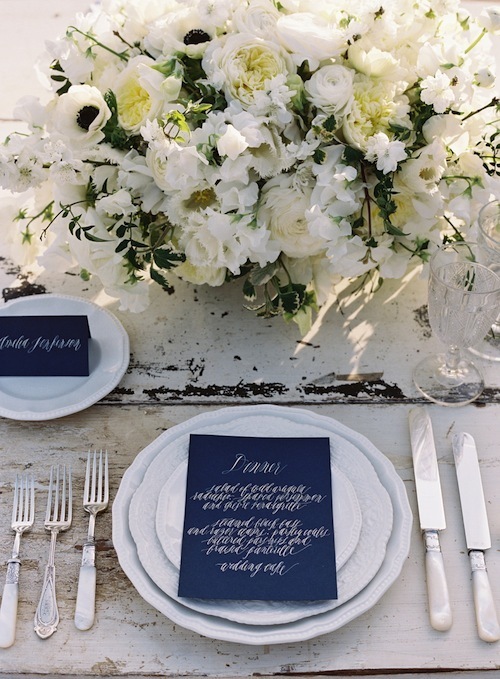 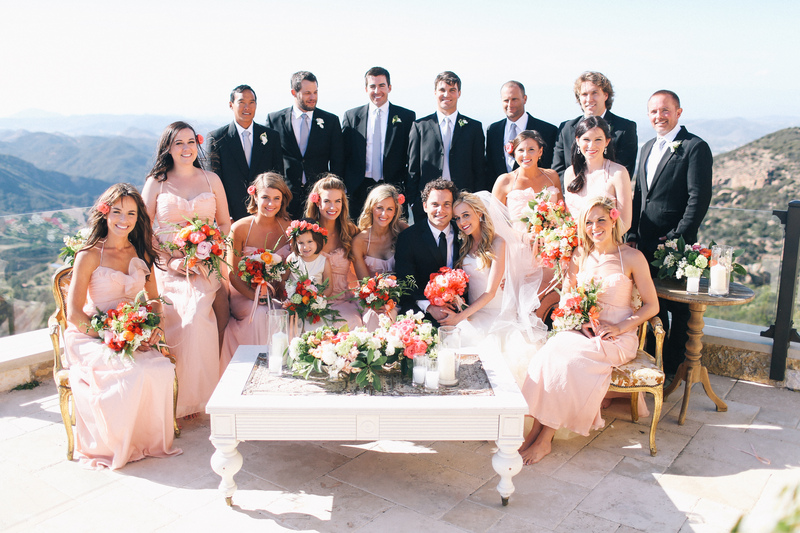 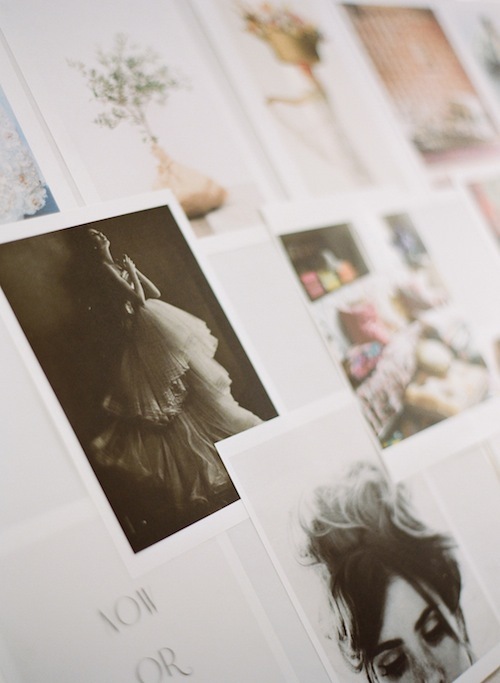 Check out this gorgeous chic white wedding featured on Style Me Pretty. 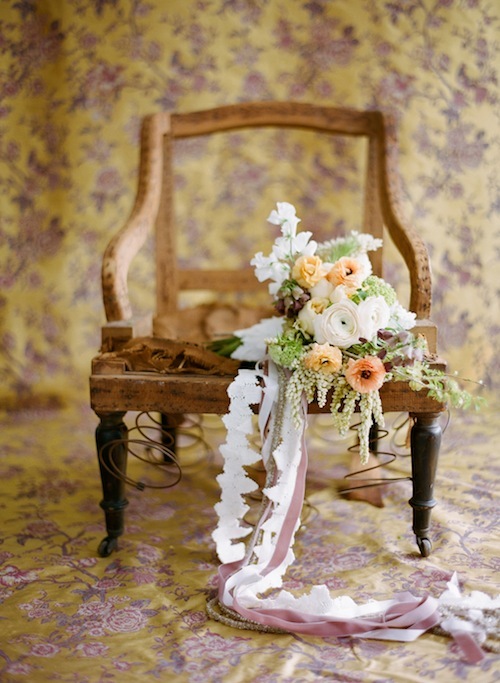 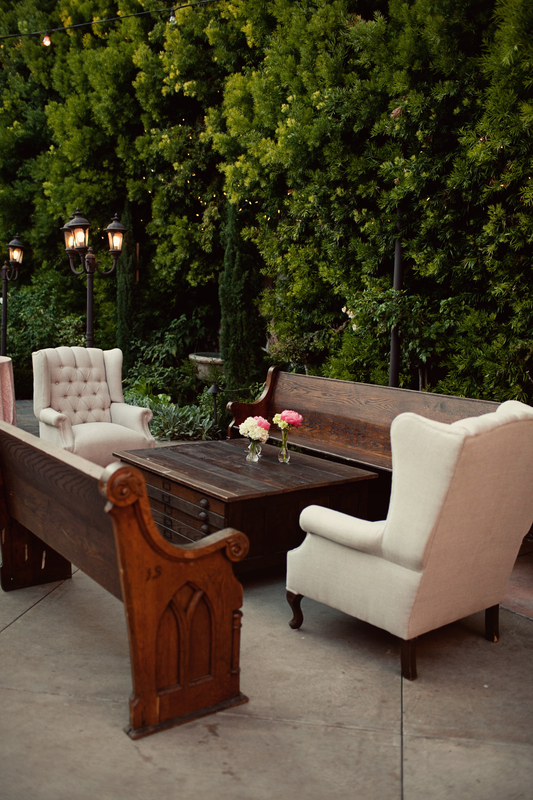 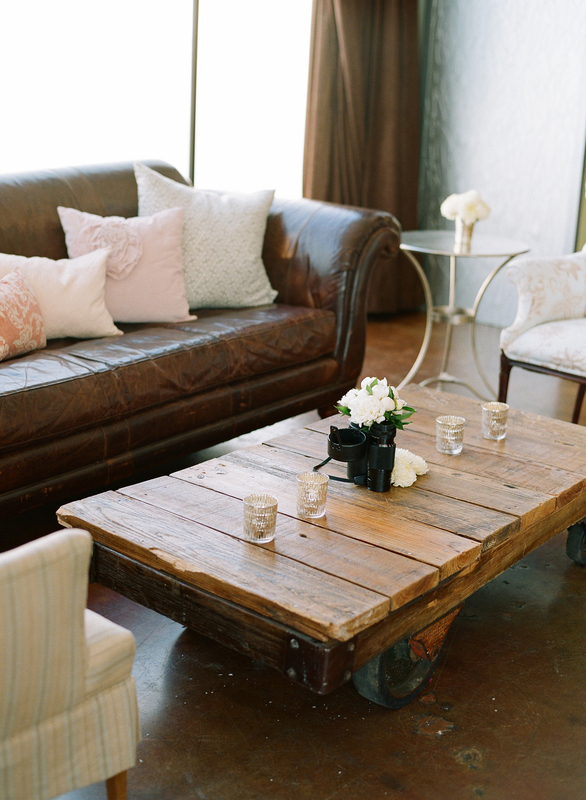 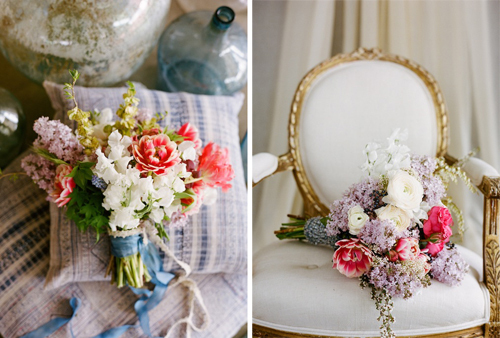 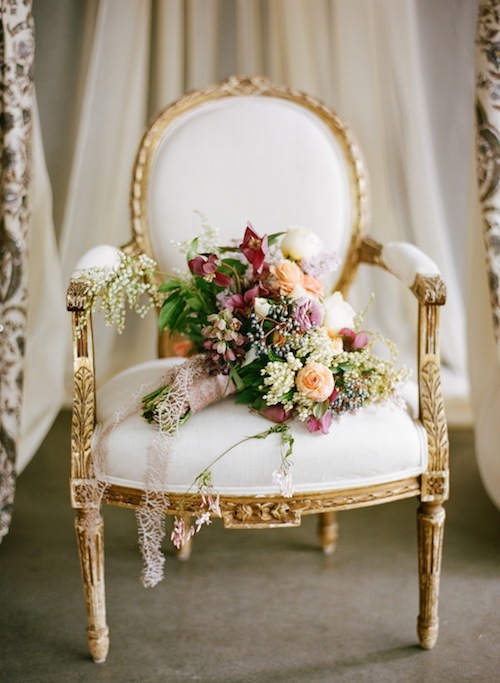 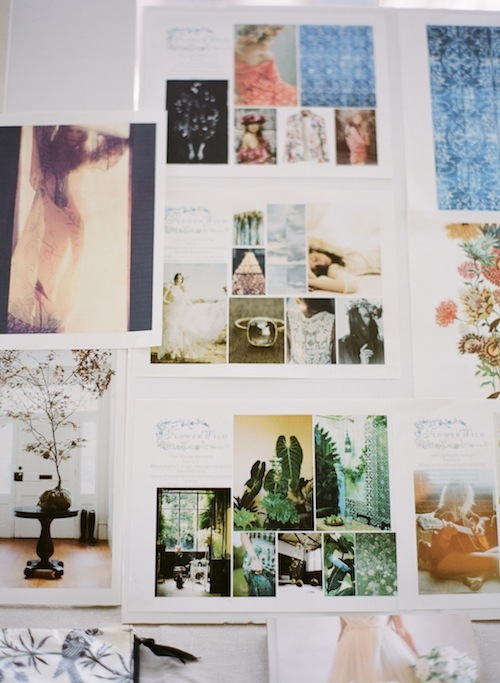 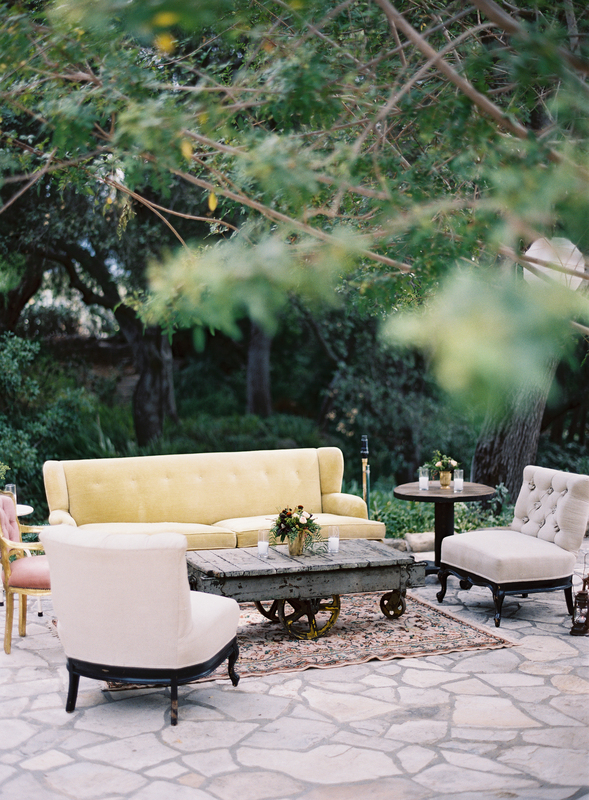 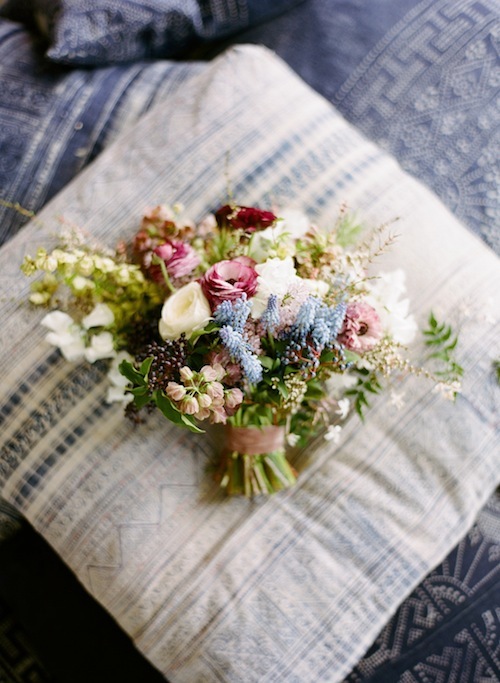 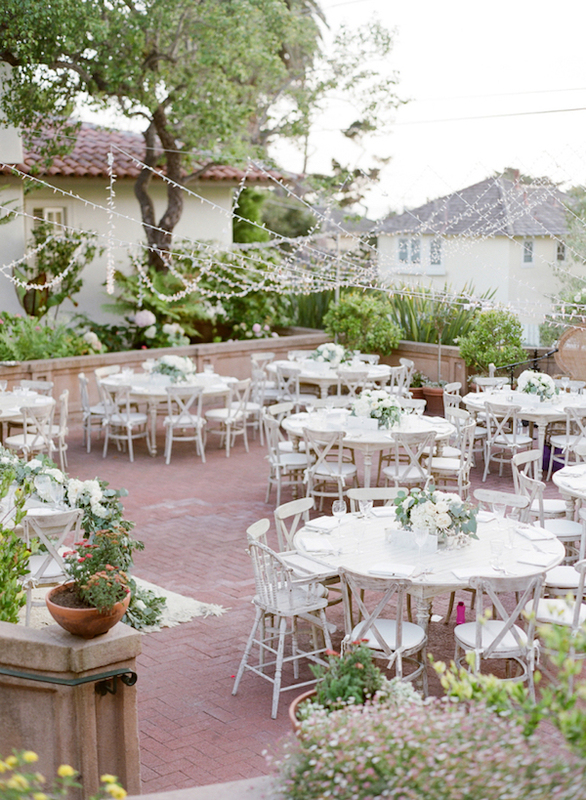 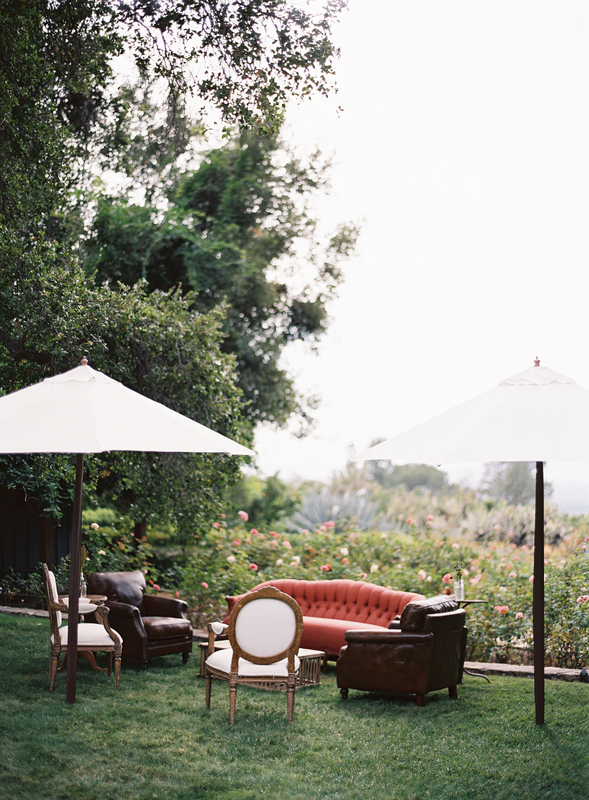 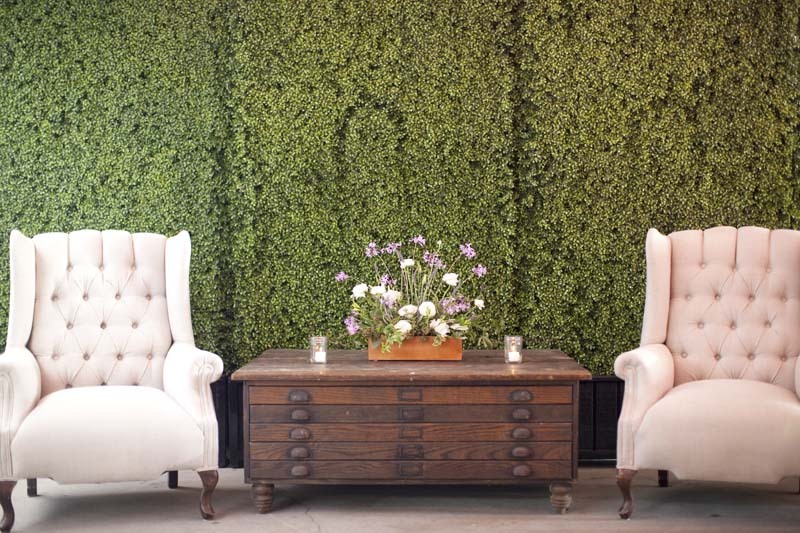 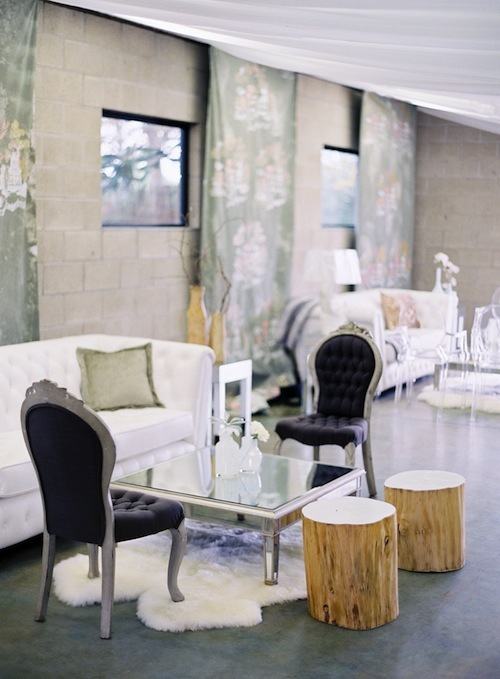 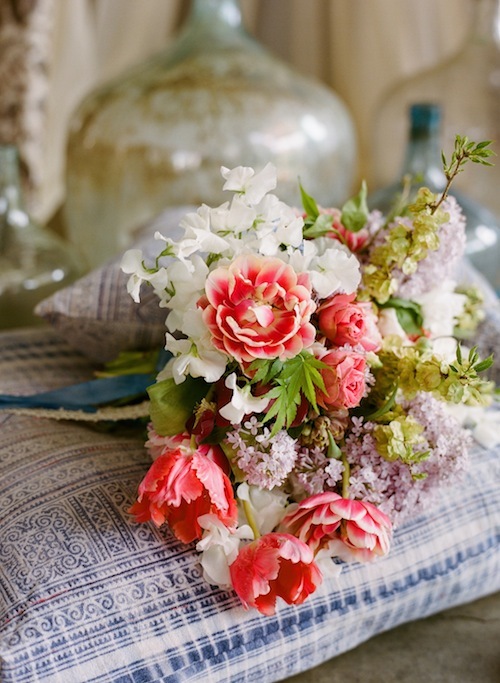 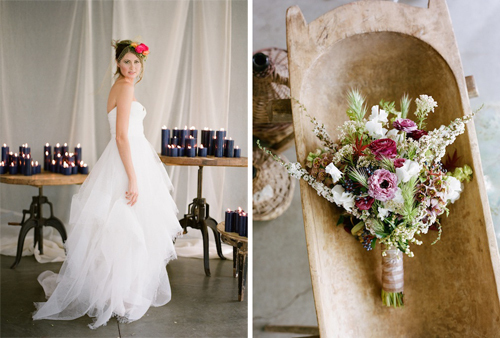 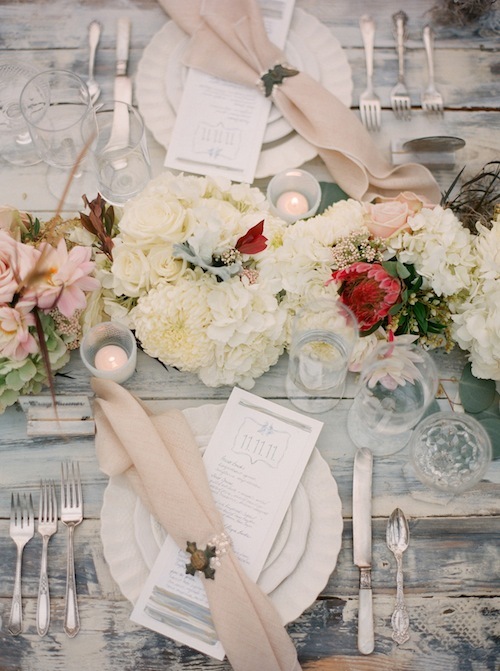 It’s filled with pretty florals, sleek ghost chairs and vintage furnishings. 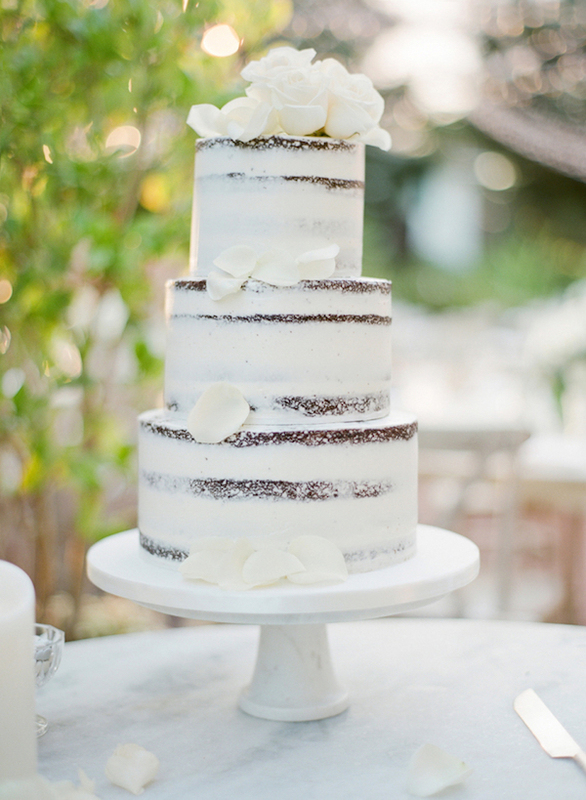 A perfect combination for a perfect couple.